Spread Betting in the UK! Want to bet on the Dollar against the Euro? Pound against the Euro? Not sure about the Nasdaq? Maybe the Deutche Bursa? What about oil, gas, silver, wheat or maybe you simply have an opinion that a certain stock will double in value? Spread betting allows you to do all this (and much, much more…) in a flexible, tax-efficient way. Don’t forget, tax treatment depends on the individual circumstances of each client and may change in future. Simple, cheap and highly flexible, financial spread betting will fit into any trading strategy that you currently use or wish to use. With the ability to go long or short in rising and falling markets and the capability of magnifying profits, or losses, spread bets are a useful addition to an experienced investor’s armoury. It is a fact that an increasing number of people are now trading using spreadbetting to avoid paying commission and taxes. It’s quick and easy to open an account, requires very small capital, offers leverage and lets you trade in very small amounts across a wide range of markets. 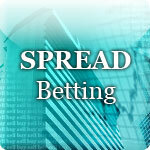 Spread betting might just be the thing for you. With this form of financial trading it is possible to profit no matter which direction the market is moving (i.e. you can profit even when prices fall), and you can trade thousands of different markets all from the one account. Traditionally, if you wanted to day trade shares in the United Kingdom using a broker, the share had to fluctuate by at least 5%… and even then at least half of your profits are going in commissions and tax. You see, in the United Kingdom every time you buy stocks and shares you pay a tax known as stamp duty. This amounts to 0.5% of the market value of the stocks (if you buy on margin, then 0.5% of the market value represents an even higher cost of trading). So with a 5% move, you would be lucky to walk away with 2% (and if the market goes against you, it will cost you about 5% + 0.5% + 1% = 6.5%). Our trading course assumes that you have absolutely no prior knowledge or experience of spread trading whatsoever. You can be an absolute and total beginning and this is not a problem. There is no requirements in knowledge or experience that you need to have. The course starts from the basis that the student is a complete beginner and thus begins by explained how to read a chart. And remember spread trading is currently tax free so you don’t have to worry about capital gains tax. You can also get that little extra treat in the form of a spread betting bonus by signing up to one of the financial spread trading companies featured on our spreadbetting website. Start slowly. Build up confidence. Trade carefully. But above all else…be disciplined. 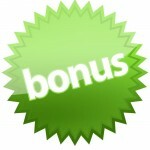 Thank You & Spread Betting Bonus Offer!